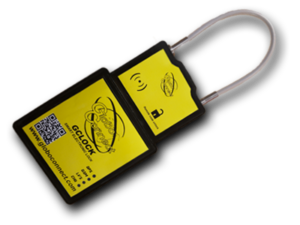 GC-Lock : Electronic seals device. The GC-Lock is a connected electronic padlock designed to secure goods stored in trailers or containers, or to protect any opening. Remote opening or with RFID card. IP67 sealed and rugged enclosure. Transmission of GPS position in case of alarm.